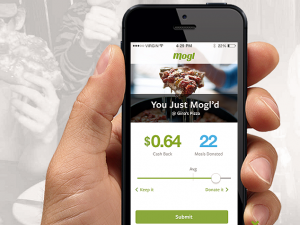 Two personal finance apps, SaveUp and Mogl, offer rewards as a byproduct. Their CEOs describe them as “a bit of gummy on the financial vitamin” and “Toms shoes for food,” respectively. Where is Santa Claus, right at this moment? Sources disagree. SeatGeek, a ticket search service that gets about 3.5 million visits per month and expects $12 million in revenue this year, has bought its competitor FanSnap in order to take it off the market. FanSnap, which had raised $16 million in funding (more than twice as much as SeatGeek), had previously been bought in 2011 by Wize Commerce. SeatGeek said it raised $2.2 million to finance the acquisition, but didn’t offer other terms of the deal. It’s yet another social news app, but perhaps a smarter one.